My daughter recently wrote an essay for her Health class. At the time she wrote it, she didn't share it with her dad and I. Last night she remembered, pulled it up on the computer and told us to read it. It got us both a little emotional, and sparked an idea. Here, read it for yourself. My dad is my role model because he influenced me to be someone to help find a cure for diabetes. My dad was diagnosed with diabetes when he was 9 years old. When my dad gets low it gets scary and we have to give him sugar. Sometimes when he has to go to dialysis, and its like maybe 6:00 and he’s still sleeping, that’s when my mom tries to wake him up. when he’s being difficult she has to either give him glucagon or call 9-1-1. What inspires me to cure diabetes is because when I was in 6th grade…my dad's heart quit. He’s lucky to still be alive right now. My dad works at the Home Depot, and when his heart quit, Home Depot and our friends helped us A LOT. On how I can apply his positive characteristics on my life, is when something bad comes up, then I can try to make things better. What I can learn from my dad is to never give up. Even on the darkest days, my dad didn’t give up when his heart quit. So I’m not going to give up on trying to make him better. 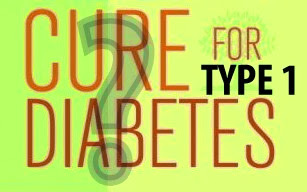 I think I will be a role model to someone someday because of what I did to try to cure diabetes. If you are someone who has diabetes, or know someone who has it, I know what you are going through. I hope I will be your role model….and you might be a role model to someone. I am someone who wants to help! And I plan on helping anyone who needs it. I think everyone should donate to help cure diabetes. Diabetes is tough to go through, and nobody should go through it without a little help. First, we didn't know Camryn had these thoughts and feelings. One of the things we struggle with most with her is that she isn't very good at verbal communication. Never has been. She was slower than other toddlers to talk. She is more likely to have an emotional meltdown, or on the flipside, a giggle fit, than to simply TELL you how she feels, what she needs, etc. There is an idea I heard (or read) about awhile back. It was about how to keep the lines of communication open with your teen. Since Camryn wasn't yet a teen at the time, I just kind of filed away in the back of my mind. The idea is to have a notebook that you and your kid can pass back and forth. After reading this essay, I am convinced she will communicate with us better if she can write it. Second, wanting to cure diabetes.....yeah. Well, here's where I need to make a confession. I am very bitter on that subject. I pretty much have no hope for that to ever happen. My hate for the disease is so deep, and I carry immense cynicism in regards to the idea that anyone even WANTS to cure it. I have the very callous, I guess you could say conspiratorial theory, that "the powers that be" love the profits they incur from dispensing diabetes management products so much that no one is actually trying to cure the disease. But I'm not so hard over about it that this touching essay by my own daughter can't soften my attitude just a bit, and be encouraging to her if that is something she cares about. If Camryn would ever like to fund-raise in some way, maybe do a walk for diabetes....well I will be right there with her. How can I not? A little update: When I wrote and published this I had no idea that November is #DiabetesMonth with the American Diabetes Association. I mean, since I don't really believe in a cure, why would I pay attention to such things? Anyway, serendipity!